Are you ready to connect with Europe's biggest insurance companies? 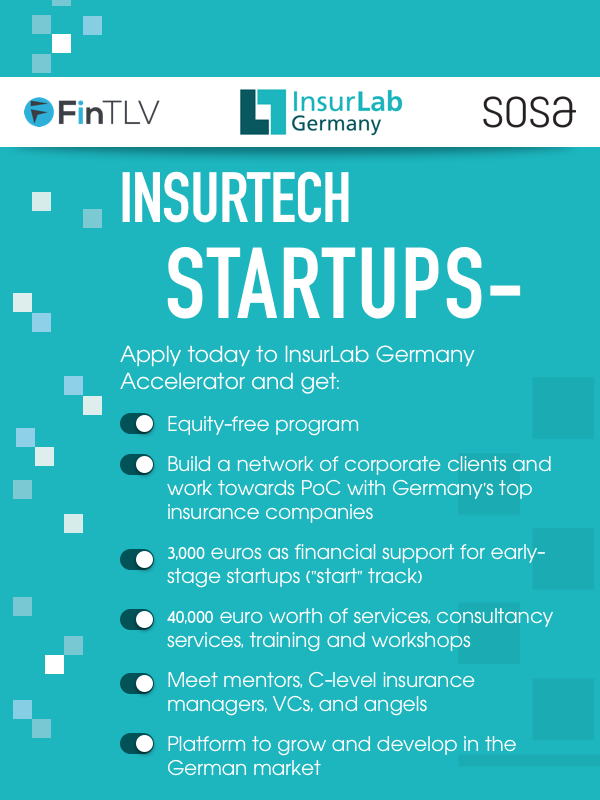 Here's your opportunity to join Insurlab Germany's May, 2019 wave of its accelerator program, get direct access to over 30 insurance companies and scale your companies fast. This is a highly selective program designed for startups disrupting the future of insurance! "Start" track: Young startups (founded no earlier than 2018) looking to jumpstart their business. -"Growth" track: a tailored program for more mature startups to scale and develop their businesses. Application deadline: March 1st., 2019.